Stephen Harpers evolution: style or substance. Has Stephen Harper been transformed? Six months ago Mr. Harper told a Vancouver radio audience that he didn't intend to bow to those who wanted to transform him: "I don't intend to change myself." He has unquestionably developed "a willingness to listen to his handlers." Changed in style? Yes. Change in substance? This is still to be determined. "Yeah, I don't think my fundamental beliefs have changed in a decade," he said in Halifax. "But certainly my views on individual issues have evolved, and I deal with the situation as I find it" was how he characterized his evolution. He has made no clear declarations regarding his fundamental beliefs. Therefore, based on his previous statements, should we assume a Stephen Harper Government would act to decentralize Canada through provinces having complete autonomy within Section 92 of the Canadian Constitution, privatize what are now public services whenever possible, and harmonize Canadian policy and practice with those of the United States? 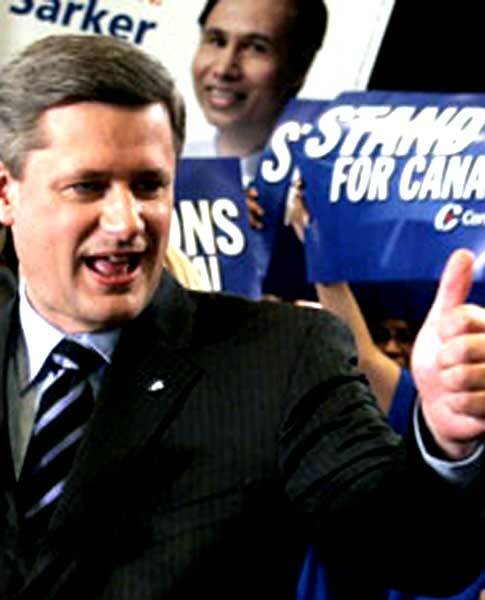 Stephen Harper's handlers have altered his public persona, just as Professor Higgins did with Eliza Doolittle. For the sake of Canada’s future, those who accept this outer evolution must determine whether Stephen Harper’s fundamental views have altered as well or, as in Eliza's case, the inner person remains the same.